Some supporters of President Muhammadu Buhari/Osibajo re-election who were said to be in a mass rally dished out the most ridiculous irritant of the century by calling on the People’s Democratic Party (PDP) presidential candidate, and former Vice President Atiku Abubakar to step down his presidential ambition in what they characterized by “the intimidating credentials of the current administration of President Buhari”. This news from Ibadan Saturday, January 12 2019, was not a good one except to those that made the news. One would have swept the irritating comment under the carpet but it would be aplomb to let the President Muhammadu Buhari/Osibajo pretenders erroneously called campaigners to understand the credentials that the President Muhammadu Buhari/Osibajo administration has indeed intimidated Nigerians with before they would call for Atiku’s head. 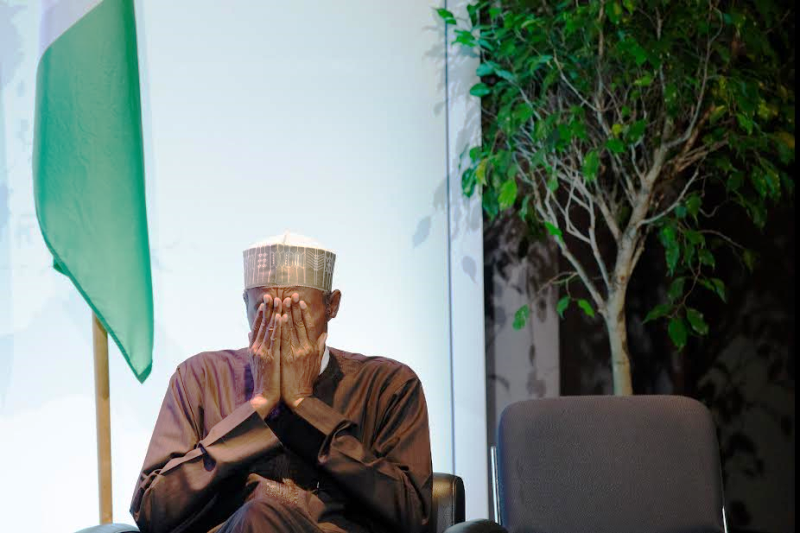 Just on December 26, 2018, the failure of President Muhammadu Buhari/Osibajo administration was told it on the face by the PDP Presidential Campaign Organization (PPCO). The arm of the PDP orchestrated in no less term that Buhari was seeking a solution in 2018 on how to combat problems of the economy, corruption and insecurity. This was invariably the key promises he made to handle during his electioneering campaigns in 2015. The PPCO therefore concluded that for President Muhammadu Buhari/Osibajo administration to be using the same old campaign aphorisms has shown their acceptance of failure, ineptitude and lack of competence to deliver on promises. While Nigerians of goodwill had expected Buhari to deliver on promises he made in 2015, was the Senior Special Assistant on Media and Publicity to President Muhammadu Buhari, Mallam Garba Shehu on September 19, 2016, telling Nigerians that Mr. President spent about £50,000 as operating cost for his ear treatment in London. Shehu was disproving a statement made by one Prof. Farooq Kperogi at Bayero University Kano that Buhari spent £6m for that purpose. The Professor had quoted a national paper in a commentary as the cost of Buhari’s trip to London for the ear treatment. Meanwhile, during his 2015 electioneering campaigns, Buhari had endeared Nigerians to supposedly stone any public officials that would go for a medical treatment abroad. But Nigerians were latter told Buhari spent “less than £50,000” as his medical bill for ear treatment. However, Buhari, who was clamoured that he had ear impairment known in the medical term as “Meniere’s Disease’’ was shamelessly defended by his aides to the contrary. The mystified Buhari nonetheless confined himself to the State House and canceled three official occasions in which he was represented by Vice-President Yemi Osinbajo, a testament that showed all was not well with him as at the time. It could be recalled that “the intimidating credentials” that Buhari had against Atiku was for Osibanjo to represent Buhari in Papua New Guinea where the 8th Summit of the African, Caribbean and Pacific Group of States held. Also, at the 48th Ordinary Summit of Heads of State and Government of the Economic Community of West African States (ECOWAS) which held in Dakar, Senegal, Buhari was represented by Osibanjo. Buhari also canceled his trip to Lagos State to launch some projects accomplished by Governor Akinwunmi Ambode of the state within the period. Well, with their “intimidating credentials”, Adesina had told Nigerians that the president would on June 5 2016 proceed on a 10‎-day leave, which he would spend in London. To wash their embarrassment, Adesina told those who cared to listen, that Buhari in the cause of that trip, would see an E.N.T. specialist ‎for a persistent ear infection. Meanwhile, he said that Buhari was (sic) examined by his Personal Physician and an E.N.T. Specialist in Abuja and was treated. Both Nigerian doctors recommended further evaluation purely as a precaution. The Buhari apologists have been lying themselves to stardom but this is the time to remove the heinous ladder they have been climbing with. The umpteenth time, when the All Progressives Congress (APC) produced Buhari as president in the 2015 presidential election, the party accused the then Peoples Democratic Party (PDP) of squandering the country’s resources in overseas treatment of its stakeholders. But the APC sent shame to the winds and sent Buhari on abroad medical trip, something the APC had used against the PDP. Instantaneously that Buhari confirmed his ear problem as a reality and travelled overseas, Dr. Osahon Enabulele, Vice President, Commonwealth Medical Association (CMA) as at the time, and former President, Nigerian Medical Association (NMA), told the media that the trip was a shame on the nation (despite the presence of over 250 ear, nose and throat (ENT) specialists in the country and a National Ear Centre in Kaduna State), given that Enabulele had undergone surgical operation for his ear infection in Nigeria, that year, and it was successful. Further, the medical expert believed that the presidency was yet to tell Nigerians the truth pertaining to why Buhari travelled to London given that the former Governor of Kogi State, Idris Wada, patronized Nigerian-trained medical experts and medical facilities here in Nigeria when he unfortunately suffered a fractured femur following a road traffic accident in 2013, hence there was no reason in 2016, for Buhari not to had stayed back in Nigeria to attend to his ear infection. 1. A major reason why Nigeria is not working is the way we have structured our country and governance, especially since the emergence of military rule in 1966. We can agree that the federal government is too big, too rich, and too strong relative to the federating states. We can agree that there is too much centralisation of resources and concentration of power at the federal level. 2. Nigerians would not have been calling for a National Conference, sovereign or not, if we were meeting our people’s basic needs, including food, shelter, education, security, energy, and transportation infrastructure, if we were putting the country on the right path and every segment of the country feels equitably treated. And we would unlikely see people describing as a mistake the amalgamation of the northern and southern parts of Nigeria 100 years ago.